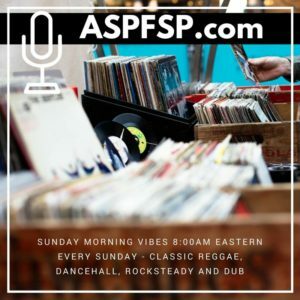 A Sunny Place for Shady People is a music podcast featuring interviews of some of the most interesting up and coming bands — local and on tour. Whether recording in the ASPFSP studios or out on location at shows and festivals, Tommy Dubs, Mike McAfee, Doug Kunnath, and Dylan bring the best in new music by getting away from standard question/answer interviews and give you the opportunity to get to truly know these talented guests. Every Sunday morning, Tommy Dubs brings you a new mix of classic reggae, dancehall, rocksteady, and dub.